A fair copy of John Fletcher’s play in a scribal hand, dated ca. 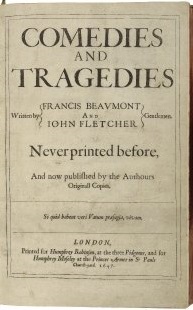 1640, is held at the Folger Shakespeare Library, call number J.b.3. Relevant resources: digital reproduction; Hamnet catalog entry.